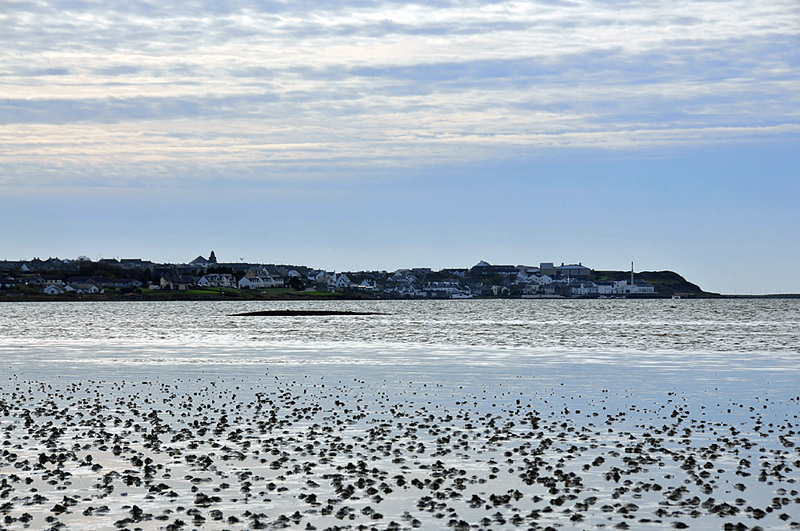 During low tide it is possible to walk out quite far on to the mudflats at the top of Loch Indaal. You then get a quite nice view of Bowmore, the distillery on the right and the Round Church above the village. This entry was posted in Beaches, Cloudy Weather, Distilleries, Landscape, Repost, Sea Loch, Village and tagged Bowmore, Islay, Loch Indaal, Round Church by Armin Grewe. Bookmark the permalink. Photo quite good. Description of the scene less so. First time I’ve ever known our beautiful Golden Strand at the head of Lochindaal referred to as the mudflats.